All good things supposedly come to an end. 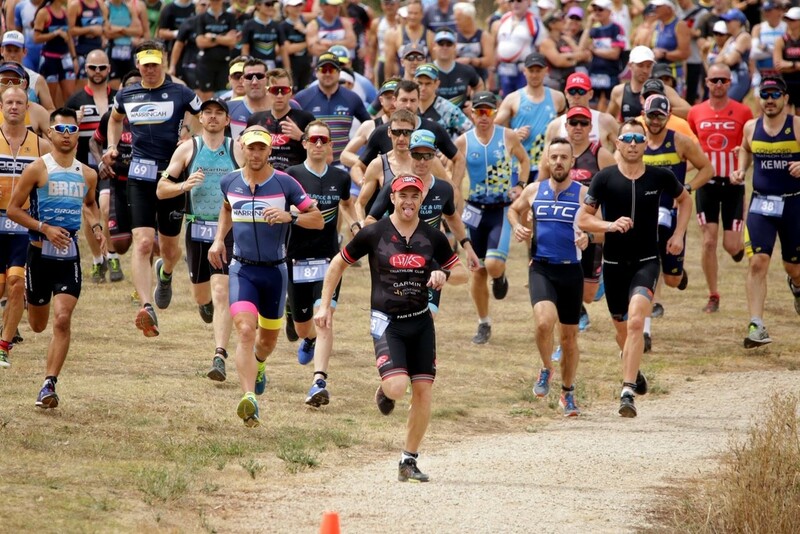 Well that ‘end’ wasn’t the 16th March 2019 in Orange for the Hills Triathlon Club as they added the inaugural Sydney South West Interclub Trophy to a 3rd Division 1 Club Champs title in as many years. The Red Army are enjoying the most successful period in the club’s history and are showing no signs of slowing down just yet. 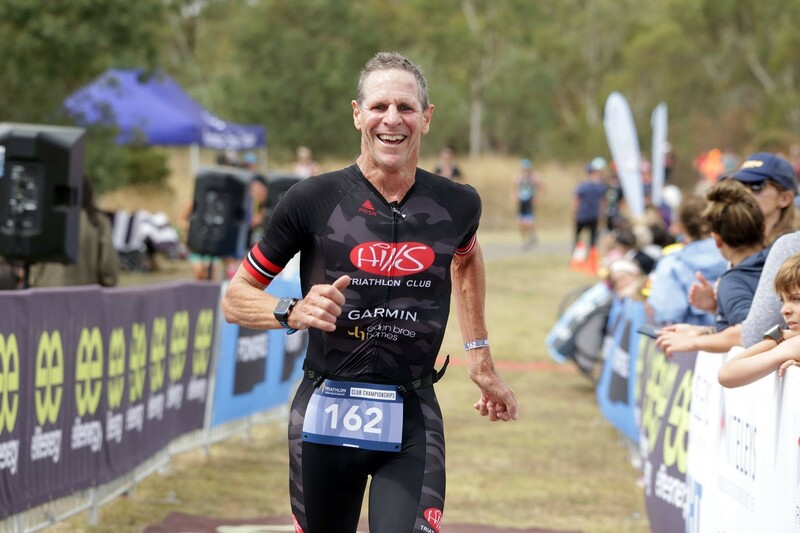 A competitive field to contest with at Club Champs saw no fewer than six individual age group victories for Hills. Bomber Hutchinson, Paul Fisher, Julie Howle, Kristie Kaplikas, Rachel Knellwolf and of course, MVP front-runner, Dave McEwan. Matt Plohl, David Jaffe, Ross Salmon, Jenny Hart and Matthew Rofe also stepped onto the podium for the Red Army after strong performances. Rachael McAllister, Shannon Lum, Dave Holtsbaum, Malcolm Ramsay, Alex Jackson, Glenn Walker, Barry Munnik, Don Mcarthur, Rosie Langley, Phillip Wilkinson, Alan Whitmore, Phillip Bell, Euphemia Foo, Tommy Morwood and Brian Brady. Second on the day in the Sydney South West Interclub were the Balance Bolt, who also managed a maximum 50 points. Balance’s great performance pushes them up to fourth overall, just 1 point behind a podium place. Balance have been in great form over the second half of the season and would be fully deserving of a podium finish overall come the seasons end. The ever-impressive Travis Shields finishing 2nd in his AG as did Tim Ford on his Balance & UTS debut. Krista King the third Balance athlete to make the podium with a 3rd. Dominik Linder, Matthew Sweeney, Alisha Allen, Emer Mernagh, Monique Van Camp, Lucas Au, Leighton Howard also produced Performance Point earing displays. As did Jocie Evison, adding to her wonderful season with a 5th. Third on the day, confirming that they will finish second overall, were the Cronulla Sharks. Jennifer McDonald the star Shark winning her AG. Marcello Rossi and James Martin both powered around to finish 2nd, with Kathryn King and Chris Wooldridge contributing with great 3rd place finishes. John Meacham, Lianne Sellas, Rolf Behrens, Glenn Gorick, Riley Taylor, Stuart Ford and Mairaed Crawford all finished with top 10’s for further Performance Points for the Sharks. It has been a highly successful season for Cronulla and one they should be very proud of. They have pushed Hills all the way and will be back next season to do exactly the same. Concord finished 4th in Orange. Xavier Julliard, a very exciting young athlete with a big future, finished 2nd in his AG with Francesca Bull a superb 3rd in hers. Jessica Dennis, Rhys Newell, Anthony Wilson, Jane Spalding and Oscar Russian ensuring it was a good day out for Concord with top 10’s. Concord stay sixth overall which is likely where they will finish after the remaining round in Wollongong. A really strong effort by Concord with lots of highs to reflect upon throughout the season. It was a three-way tie for 5th with Panthers, MacArthur and LAPD all ending up on 28 points. Panthers drop to fifth overall but are just 2.5 points off a podium spot. Kaitlin Bell and James Sweeny doing their best to keep Panthers in the overall podium equation with a 2nd and 3rd respectively. Aimee Carlin, one of the starts of the season with another great performance for the Penrith club to finish 4th. Robert Drady, Pauline McCann, John Luker, Craig Burke, Troy Stevens and Melissa Fanning also scoring Performance Points for Panthers. Macarthur stay third overall thanks to their Club Champs efforts but have both Balance and Panthers breathing down their necks. Craig Odewahn, Thomas Hine and Fiona Taylor all narrowly missing podium spots after securing fine 4th place finishes. 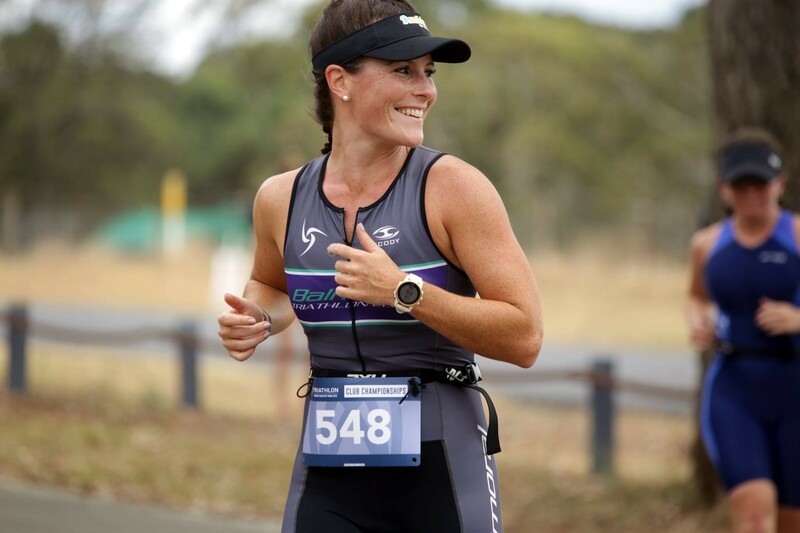 The Team Mac Tri star once again was Rachel Eagles who was victorious in her AG. It was a huge result for LAPD as the jumped up several places to find themselves back in the top seven overall after previously propping up the competition ladder. Annie Simmonds in red hot form to win her AG, Lilian Moleworth a superb 3rd, Eugene Irvin in 4th and Benn Hill with a 6th ensuring LAPD won’t finish with the wooden spoon this season. Engadine were 8th in Orange to keep their good form over the second half of the season going. Kim Tudjman with an 8th and Jay Kennedy a 10th adding Performance Points to their Participation Points. 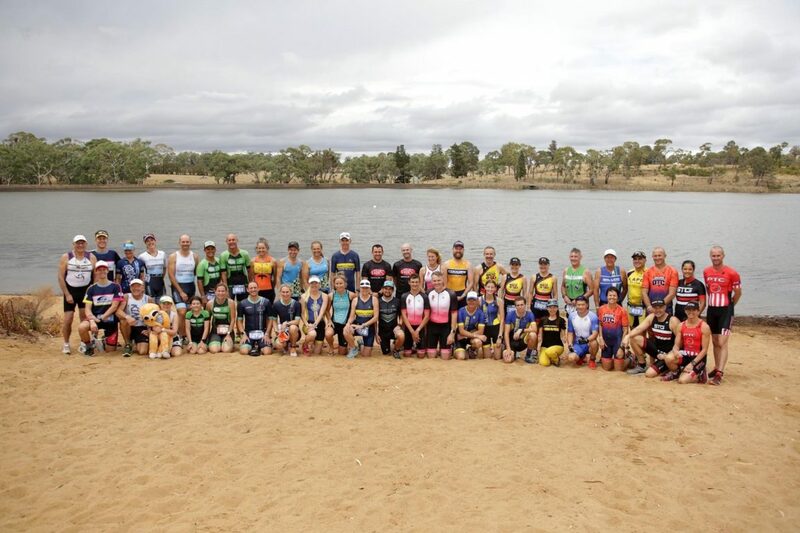 Hawkesbury were 9th at Club Champs. Chris Barclay doing a wonderful job as the sole representative. Pulse and FilOz didn’t feature this round. The last round on the calendar for the South West Interclub is Wollongong. First and second place are set in stone but there is still plenty to play for elsewhere within the competition.